As the countdown to the DublinTown Fashion Festival tick tocks, we give you a sneak peek at the behind the scenes of this year’s Lookbook photoshoot! 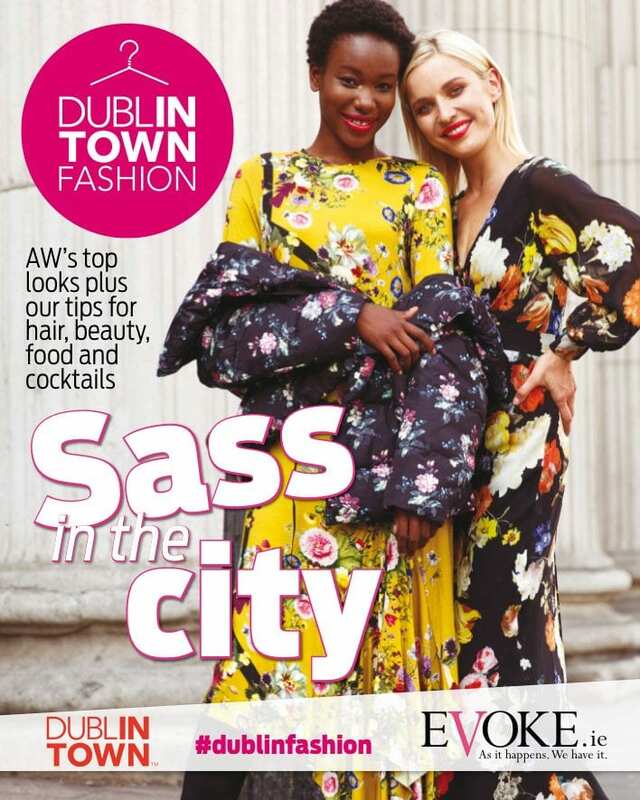 Every year the DublinTown Fashion Festival features a Lookbook, which is our 64-page fashion magazine that is dedicated solely to fashion retailers in the DublinTown districts. A lot goes into creating a lookbook from pulling the looks from retailers to setting up the studio, sorting models and applying hair and makeup. 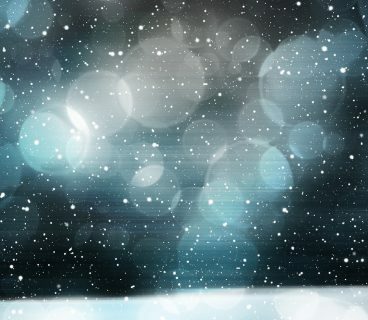 And not to forget all the people that are a part of each of these processes. 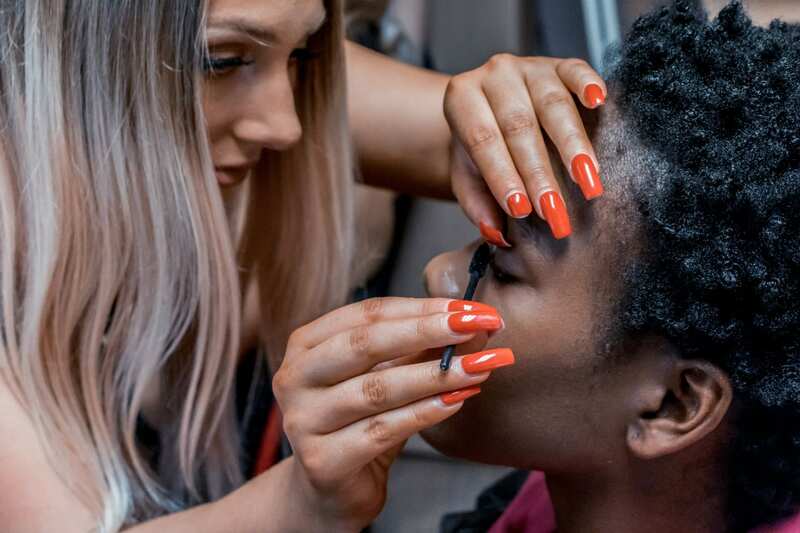 Our DublinTown offices were transformed into The Lookbook 2018 photography studio, and even our staff rooms were temporarily turned into hair and makeup prep rooms. 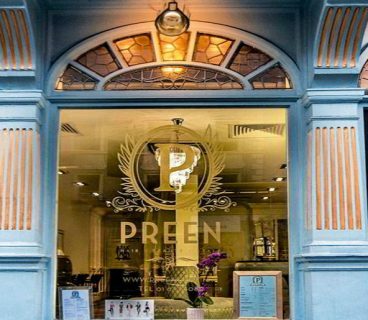 We had over 90 looks from over 60 retailers across womens, mens and childrenswear, which we sectioned into High Street, Premium, Boutiques, Gentlemen’s Club and Childrenswear. In addition to this the Lookbook also features our 10 Young Designer of the Year 2018 Finalists. Our models for 2018 were from 1st Option Models, Andrea Roche Model Agency, and Assets Model Agency, as well as our three very adorable kids who modeled the Childrenswear section. 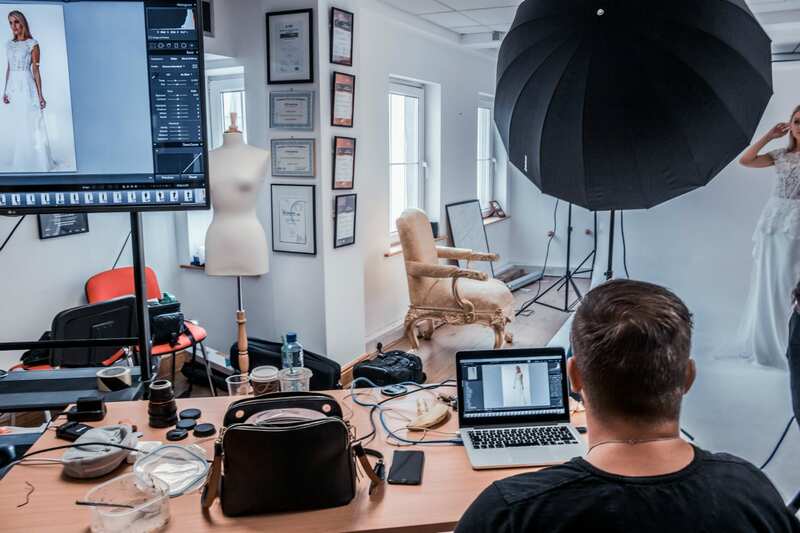 Our Dublin Fashion Festival 2018 partners Evoke.ie dropped in on the day and were able to see our creative process behind what they’d later take to publishing! 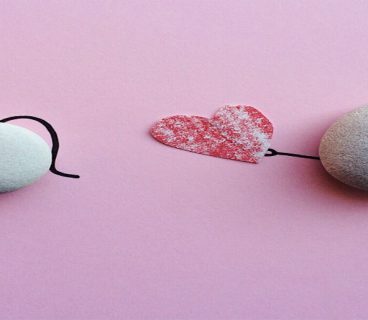 Evoke.ie is Ireland’s premiere website for Irish females. They publish the latest news, showbiz, fashion, beauty, entertainment, and celebrity gossip. Evoke.ie have been our partners throughout each DublinTown Fashion Festival since 2014, and we couldn’t imagine doing the Fashion Festival without them. 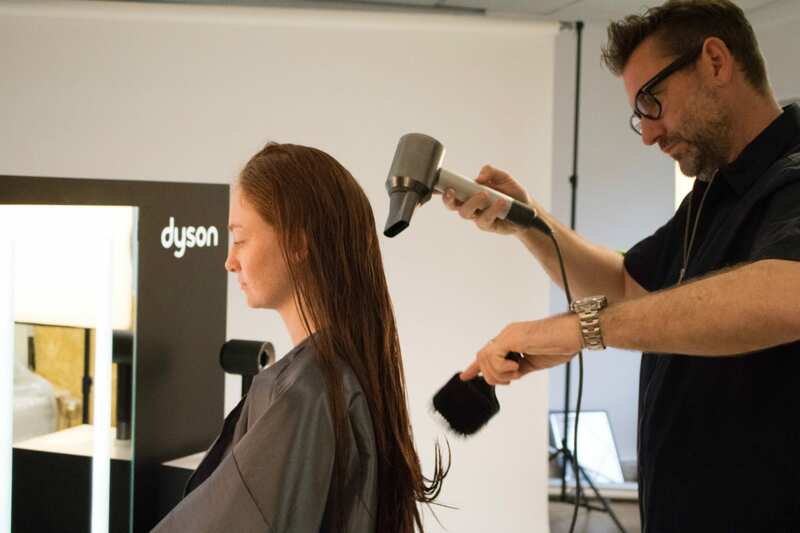 Our hair partner, Dyson Supersonic and their Irish brand ambassador Dylan Bradshaw were ensuring every strand was in place atop our models’ head. Dylan opted for a sleek and simple style for the day. 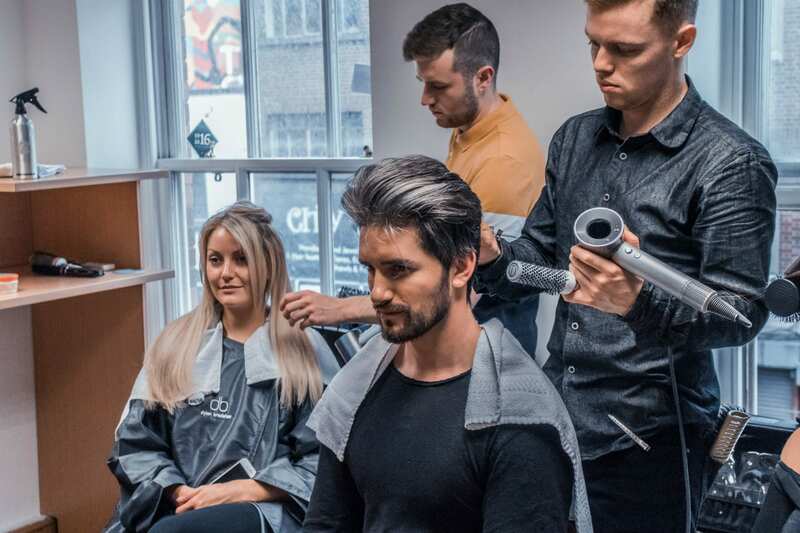 He explained that using the Dyson Supersonic Hairdryer leaves hair looking healthy and shiny, so that overstyling is no longer necessary if it’s an effortlessly elegant, satin look you’re going for. 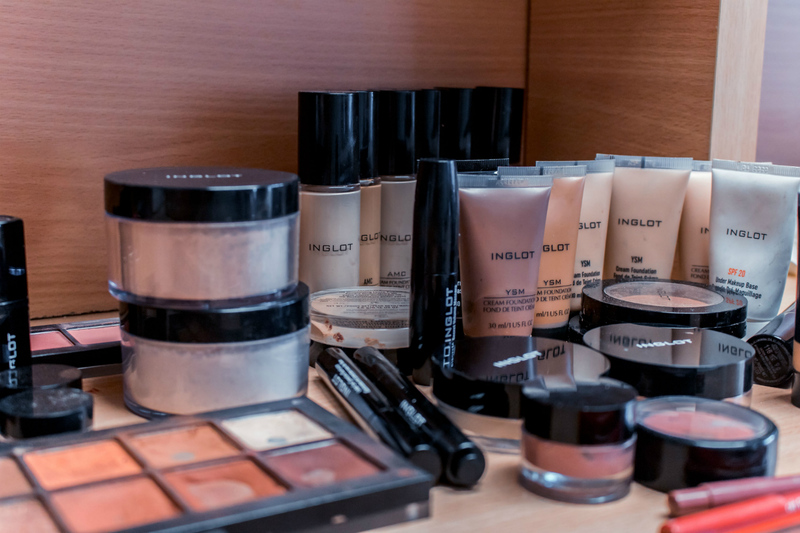 We also wish to thank INGLOT Ireland who helped out with makeup application and top ups throughout the shoot! We had two makeup artists from INGLOT Ireland for our Lookbook and were responsible for the models’ make up. The models were primed to perfection for the long day of shooting. Behind the lense was the incredibly talented photographer Anita Sadowska, along with her assistant Dan. Anita has shot our lookbook for the last 5 years and her work speaks for itself. She’s growing ever more prominent online and has a growing social media following. Don Horne was our videographer for the day and captured some amazing footage of all of the back stage antics! To finish the day, our drinks partner Bloom Floral Gin provided the delicious Jasmine & Rose Pink Gin that was mixed with Fevertree Tonic for a well-deserved cheers as we wrapped our Lookbook photoshoot! The light, floral notes of the gin compliment the tonic beautifully, and the pink hue is of course very fitting for the DublinTown Fashion Festival. Be sure to pick up your FREE copy of the DublinTown Fashion Festival Lookbook at our information kiosks and in stores from Thursday 13th September. 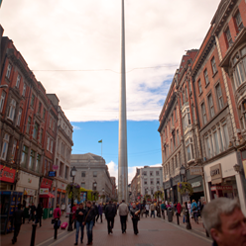 Check out the Festival Programme 2018 to see what’s on in DublinTown during our Fashion Festival!